Last weekend was the first major snowfall we had all winter that did not melt as quickly. And living in Canada...that's a bit strange....Not that I'm complaining since I'm not the biggest fan of accumulated ice that makes everyday outdoor activity feel like a daily walk inside a freezer. It's just odd. That's why Ryssa was happy to commemorate this weird random moment. I miss snow! I used to live in Boston and and Oklahoma and we got snow all the time. 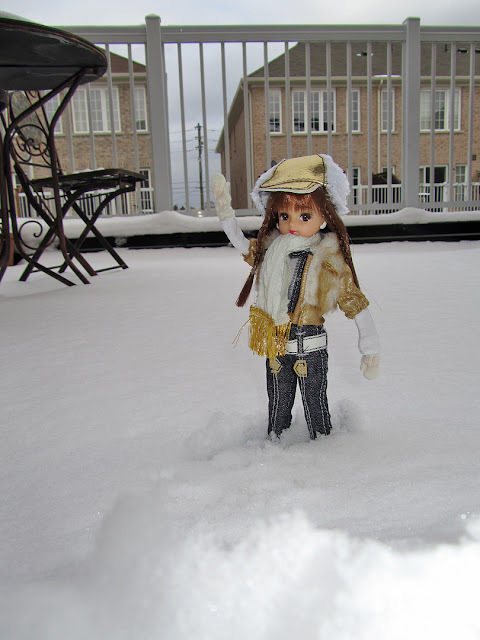 Your doll looks adorable in her winter outfit.